The kitchen at Palmerston North’s Hansen’s Café & Store is never quiet – with five families involved in the business, there’s always bakers, baristas and dishwashers on hand to help out. 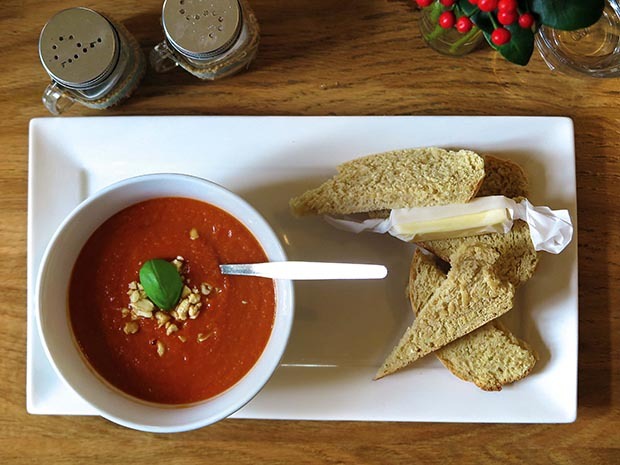 Hansen’s love to celebrate homegrown and healthy, and this Tomato Cashew Soup (adapted from a Revive Café recipe) is a local favourite. Sauté the onions in oil for a few minutes, then add garlic. Add celery, carrots, tinned tomatoes, water, herbs and most of the salt and honey. Bring to boil then reduce and simmer for at least half an hour, stirring occasionally to prevent sticking. Soup can be simmered for up to 2 hours to enhance the flavour. Blend until smooth with a stick blender. Roughly chop cashews and blitz with cold water until smooth. (A stick blender and a small narrow container works best for this.) Stir cashew cream into soup, then taste for seasonings. Add more salt or honey as needed. To serve, garnish with basil leaves and an optional sprinkling of roasted cashews. Serves 8. This is an extract from the 2018 edition of the Insider’s Guide to New Zealand. Pre-order the 2019 edition here. 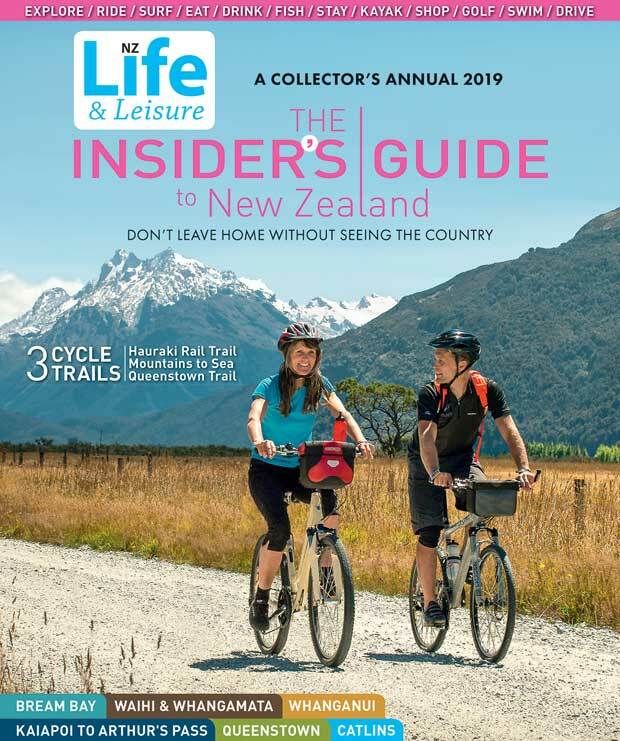 Insider’s Guide to New Zealand 2019 edition.